← Happy Birthday Girl Scouts! 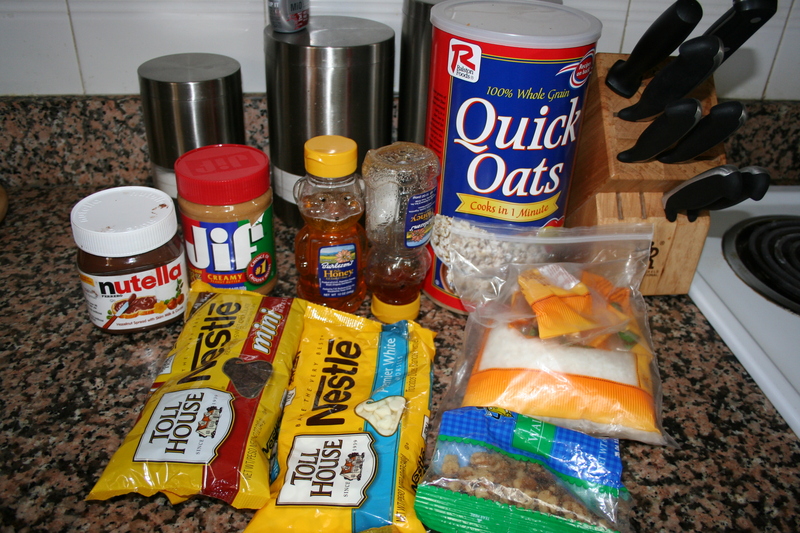 In our (my) quest to reduce the amount of packaging that we use and then throw away I was on a quest to find a homemade granola bar recipe. Granola bars and fruit snacks were the last two items that my daughter likes in her lunchbox but that are ALWAYS individually wrapped. Pinterest came to the rescue when I saw a great no-bake energy bites recipe. I don’t know how packed full of energy my kinda similar but adapted recipe is so I am just calling them granola bites. They are also much easier to store and pack than a granola bar. 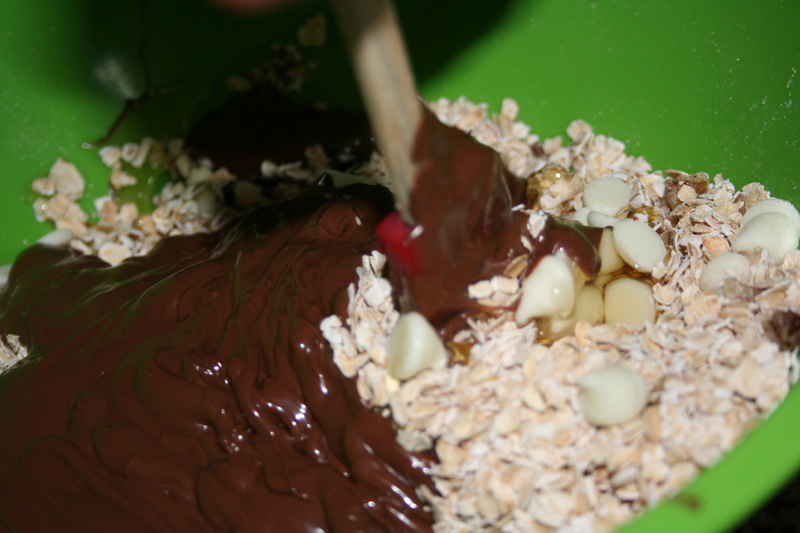 Oatmeal (1-minute), chocolate chips, nuts, coconut, honey, peanut butter and nutella. These are great because they are really customizable. M and I made two batches today; peanut butter chocolate chip and nutella white chocolate. First up: peanut butter chocolate chip. This is a pretty general guideline because your amounts could vary depending on what ingredients you add. Tweak as necessary. 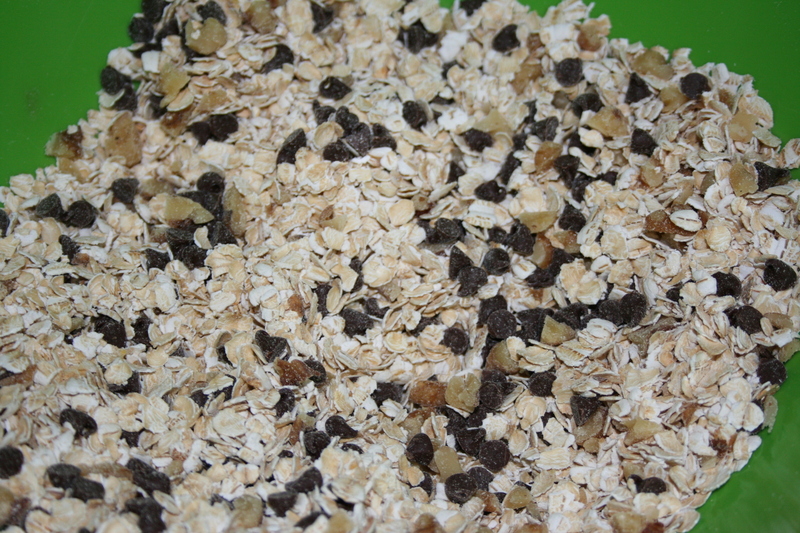 Mix everything until the oats are well coated. 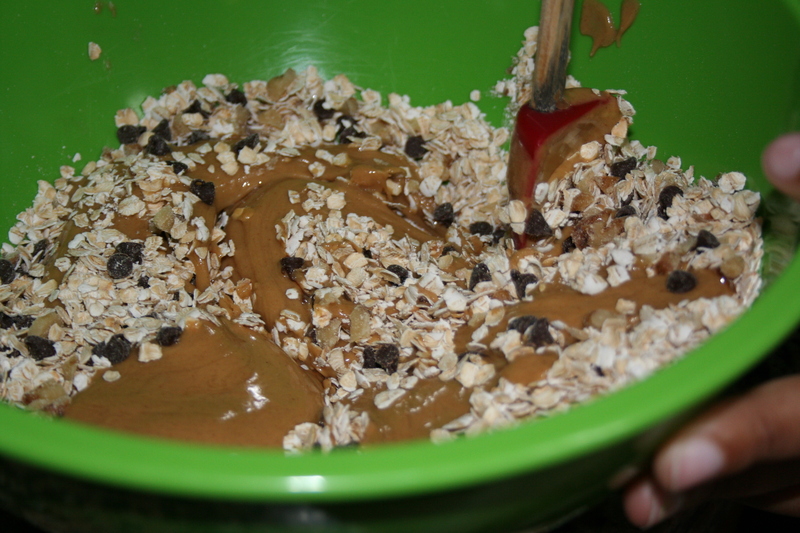 If it seems a little to wet, add more oats. Too dry, add a bit more honey. The next batch was nutella and white chocolate. Same general recipe but using nutella instead of peanut butter. You could use any type of nut butter or mix-ins that you would like and tweak the recipe to your perfect level of sweetness. When the mix has been chilled until firm, scoop it out and then roll them into compact bites. Keep them in the fridge. Don’t know how long they last in there because ours are always gone within a week.